Note that with the old blog layout, images could only be 525 pixels wide, but now they can be up to 640. That also means the HM3 interface is wider so you can see your characters better. All of this is made possible by secret invisible mind-control Martian technology brought to us by J'Onn J'Onzz, which is why he looks so grumpy. He should be GLAD he’s not getting a movie of his own! Shh! Mr. Peterson, do NOT say that aloud. 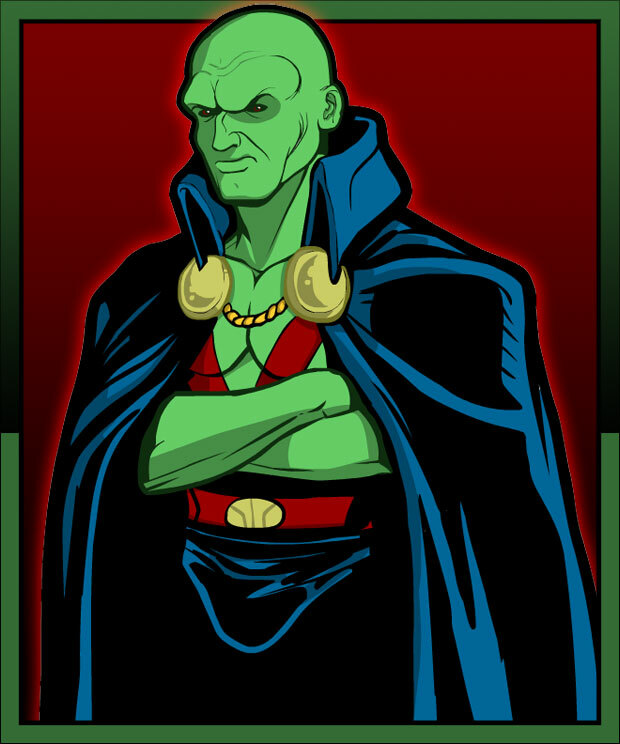 J’Onn is extremely sensitive to that fact and if reminded about ‘Avid-Day Ogden-Ay Teirs-Say’ he locks himself in the Hall of Justice with a pint of Pistachio Mint ice-cream and pulls an all nighter with “Square Pegs” re-runs.